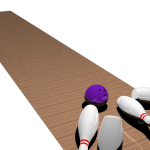 The bowling ball & pins are active rigid bodies, while the floor is passive. 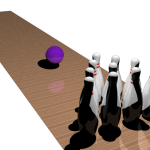 Gravity field is applied to the ball – I forgot to apply it to the pins in the playblast, but the screenshots are after I applied it to them. 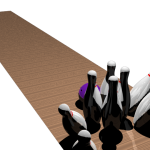 The bowling ball has a mass of 4kg, while the pins have a mass of 1.6kg. 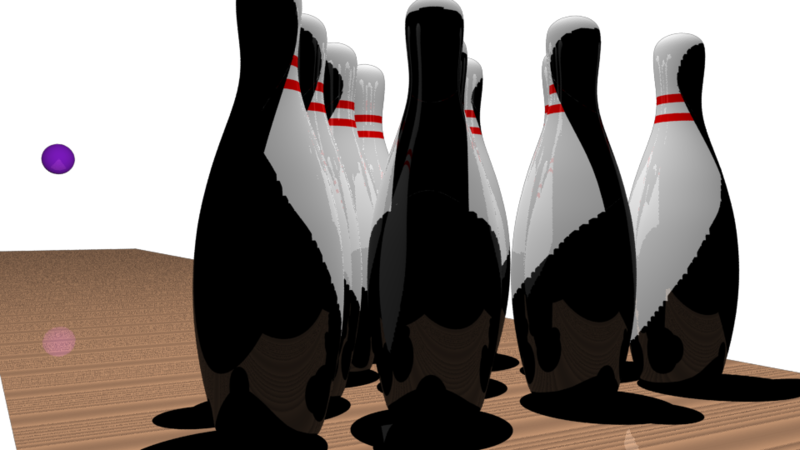 Lastly, the bowling ball has an initial velocity of 14m/s.